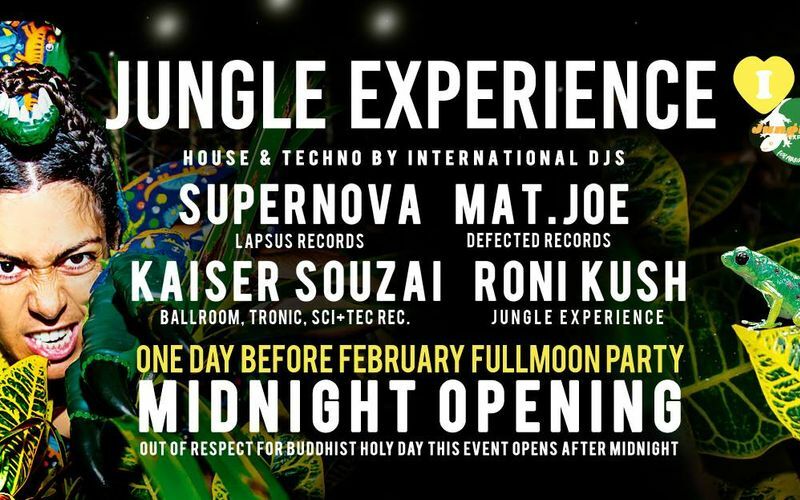 This party is on the night before the Full Moon Party, but out of respect for the buddhist holy day Jungle Experience will open at midnight – that is 12am on the 20th! Kindly pay close attention to the time and date. We are excited to have Supernova, Mat.Joe, Kaiser Souzai, and Roni Kush gracing the decks!!! This one is going to be something extra special.